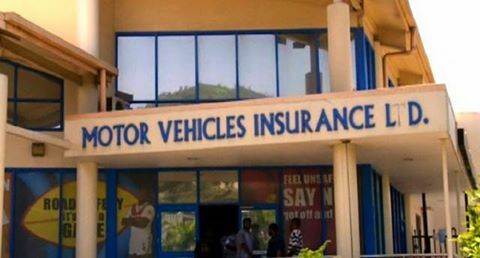 The National Executive Council has approved the Motor Vehicle Insurance Limited (MVIL) 2016 Annual Business Operations Plan and the implementation of its 2016 Budget. Prime Minister Peter O’Neill said the plan was submitted to National Executive Council as per the Kumul Consolidated Holdings (Amendment) Act 2015. Section 46E of the Act provides for MVIL to submit its annual plan to NEC instead of the Kumul Consolidated Holdings (formerly IPBC) Board. The Prime Minister said as a State Owned Enterprise, MVIL’s Business Plan besides its core business takes into consideration its overarching role in nation building and community service responsibility to the people of Papua New Guinea. “In the last three years from 2013 – 2015, MVIL has embarked on key reforms in service delivery in its core business by increasing revenue, improving service delivery and participating in corporate social responsibility." “MVIL has achieved 100 per cent coverage nationwide with 22 branches and four sub branches, fully supported and operational culminating in establishment of Regional Claims Offices,” he said. • New offices in Madang, Kiunga, Tabubil, Minj, Tari, Kavieng, Popondetta, Buka, Lihir, Arawa, Wabag, Kerema and Lorengau. • Business processes improvement; Cashless System, Claims processing turnaround time of three months, claims regional offices in Kokopo and Lae, Investigation office in Kundiawa to combat fraudulent claims from the Highlands Region. • Upgrade of Information Technology Infrastructure with platform and capability to do e-business via MVIL website. • Employment creation with 53 new recruits. • Improved returns from core business.